A warm Irish welcome awaits you at our third generation family run farmhouse B&B. 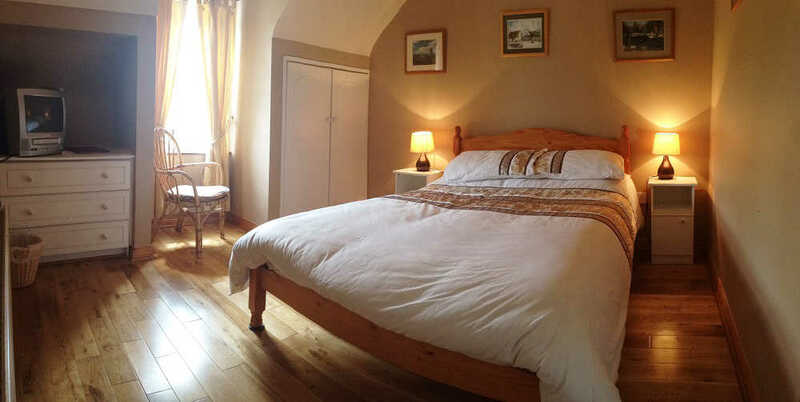 Located between Doolin and the Cliffs of Moher Visitor Centre along Irelands Wild Atlantic Way and overlooking Doonagore Castle, the Atlantic Ocean and the Aran Islands. Stay with us in Doonagore Farmhouse and take the Cliff Walk Tour for free with Pat. Relax in our comfortable rooms and enjoy our extensive breakfast menu during your stay in Doolin. 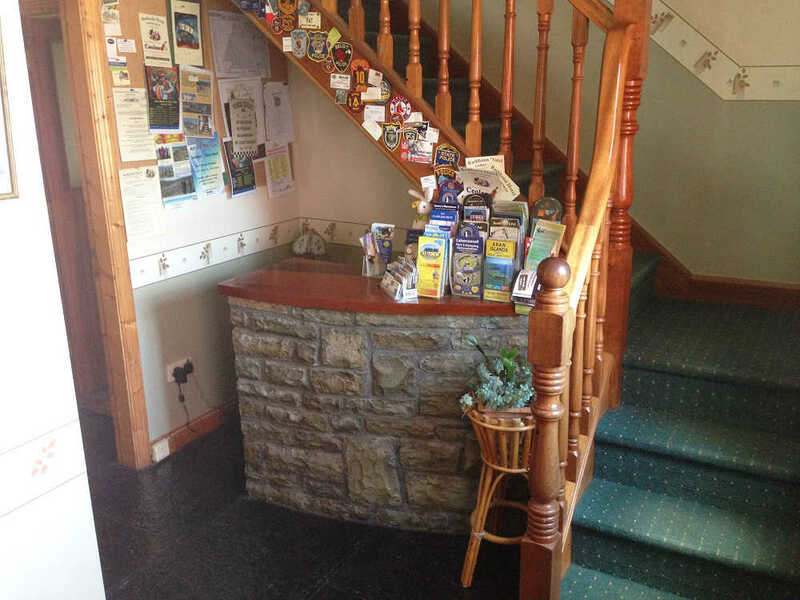 Have a look at some of our recent reviews of our bed and breakfast accommodation in Doolin. 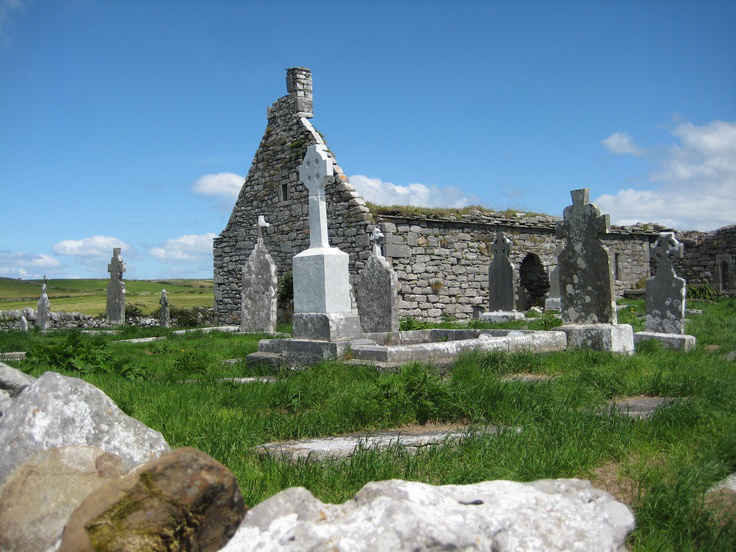 Take a look at some of the activites and attractions in Doolin and the surrounding area. 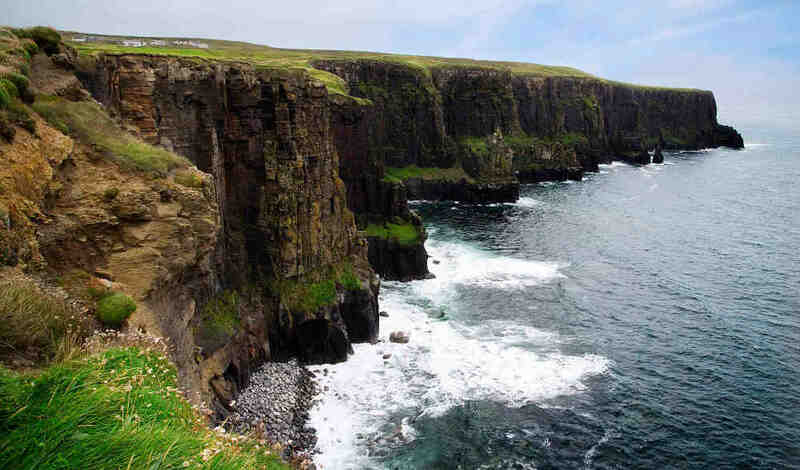 Things to see and do and places to go while visiting Clare in the West of Ireland. View a map and details of how to get to our bed and breakfast in Doolin. 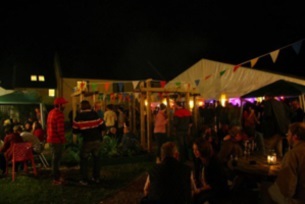 Doolin is home to numerous festivals ranging from music festivals, fine food, craft beer, heritage and literary festivals. It is a place of great beauty and tranquillity, where the visitor can refresh their spirits away from the everyday hustle and bustle of life. For some it is the centre of music and merriment. For others it is a base from which to explore a magnificent part of Ireland. It is a paradise for geologists, botanists, ornithologist, speleologist, hikers and walkers alike. Within walking distance of the Bed & Breakfast are the majestic Cliffs of Moher, battling daily with the Atlantic ocean. They rise in places to over 700 feet. A visitor centre is open all year round or, as a guest at Doonagore Farmhouse B&B you are free to join Pat on his daily walking tour along the cliffs of moher. Doolin is on the fringe of the world famous Burren, a remarkable limestone area which has a combination of many visual features that make it unique in Europe. Its geology, flora, caves, archaeology and history set it apart as a place of mystery and beauty - an explorer's dream. The Burren Display Centre in Kilfenora helps unravel many of the Burren's mysteries. Four miles east of Doolin is Lisdoonvarna, Ireland's only Spa town. Local activities include ferry trips to the Aran Islands, golf at Lahinch famous links course, pitch & putt, fishing, caving, walking, cycling, horseriding, surfing, scuba diving, canoeing and bird watching. 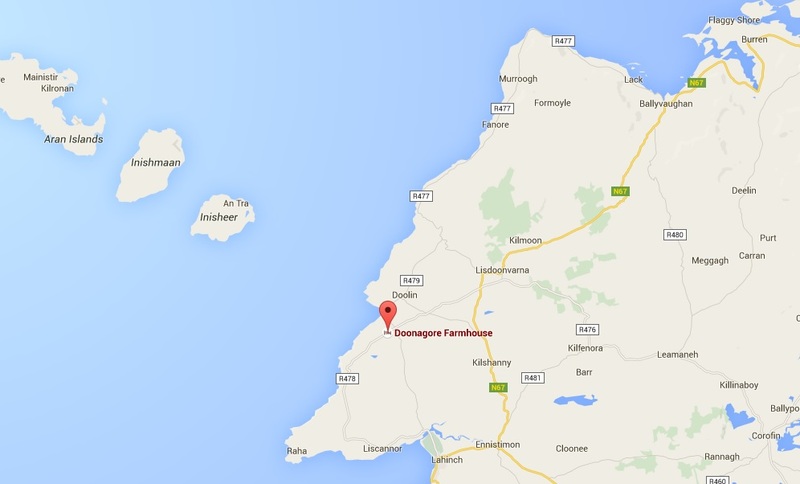 Shannon airport, Galway City and Kilimer Ferry are within an hour drive from our bed and breakfast.